The City Council member who publicly castigated a Planning Commissioner? 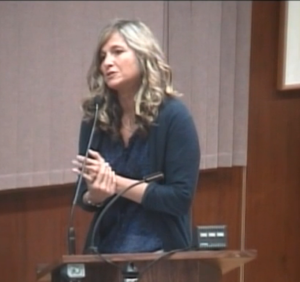 In Arroyo Grande, the City Council placed on the agenda and then after many attempts to have the item removed, had more than an hour of comment about removing a citizen from the panning commission. They got personal and ugly They NEVER spoke this personal with their own City Manager who got caught after hours in City Hall with a female subordinate. They even discussed the status of the relationship with a woman the planning commissioner lived with. To all our surprise a 5 -0 vote to do nothing. So why the kangaroo court? This kind of shenanigans must stop and will stop when Ms. Barneich does not return to the City Council in November. Harmon, Barneich and Guthrie pounded on the planning commissioner–A VOLUNTEER–for what seemed like an eternity, yet he held his head high. Who can forget the stunned looks on KB and Guthrie’s faces when Harmon decided they’d tortured him enough and she was going to cut him loose? 1. When your name is in a story with Dee Torres’ it is NOT a good day. 2. Screen shots have more than likely captured “before” pictures of your website. Editing it now will NOT change that. 3. As with your attempt to protect your former city manager, Mr. Adams, it is the attempt to cover-up that does NOT look good for you. 4. Voters are demanding transparency. Your guild does NOT appear to be operating as such. 5. Following in Tony Ferrara’s footsteps is NOT smart. Your residents voted for a write-in, NOT Ferrara. I don’t care about Torres and Hills children not do I want to read about them. NO ONE CARES. Get over yourself. 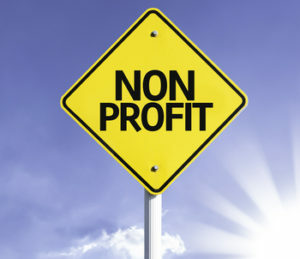 If someone is running a non-profit and soliciting donations ( tax deductions) and then using them in a manner they are not intended, then we care. The Torres- Hill gang will move if we FIRE ADAM HILL! Arroyo Grande had better hope she’s not taking Barneich under her wing. Then again, Barneich did attend Adam’s recent birthday party…. They are both on the Homeless Oversight Council for the County. Guessing no one will be suprised by this. 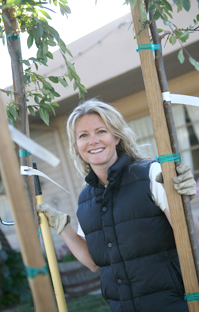 Knowing where your money comes from and then reporting it accordingly is kind of crucial. I’m Director Emeritus of a non-profit 501(C)3. This article did raise alot of good issues. Thank you Tomsquawk, for your calm and rational response. This county is FULL of unethical practices, and because the wistle blowers are attacked, they continue their manipulate the finances to their advantage. How they can defend their actions is beyond me. They hide behind the loyalty of their friends who defend their character, but that does not automatically make them honest and ethical. It saddens me to see attacks on folks who ask for accountability. It’s time the public listen to the members of our communities, and not be enthralled by the power of the politicians and big business. It seems that early on, that both Adam and Dee learned that honesty is for the most part less profitable than dishonesty. Dee Torres Hill keeps getting caught with her greedy hands in the cookie jar. First the gift card fiasco, now scamming federal laws? Why is the IRS not going after her? Why is she allowed to continually steal without repercussions? She and just as slimy hubby, recently posted their LasVegas vacation photos on her Facebook page. More homeless donation profits? If she is required to file and does not, who is responsible to follow up? She shouldn’t be in charge of a lemonade stand much less human lives. Once a thief always a thief. Clearly a political candidate. She is in the Democratic Political Machine,,,,aka…Chicago Style Politics.